MMOMeter: new MMORPG portal is live! 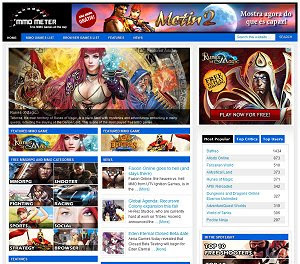 Some of our friends just launched MMOMeter.com, a new portal dedicated to free MMORPG and browser games. After long months of enthusiastic hard work, MMOMeter.com is live and offering deep insight into your favorite games, uniting reviews in one place and providing a clear perspective into what’s hot and what’s not. Also, players will be able to write their own reviews. But MMOMeter.com is not just about reviews; it offers several features and a few surprises along the way. So make sure you check out MMOMeter.com. Help them grow and reach out to more players!